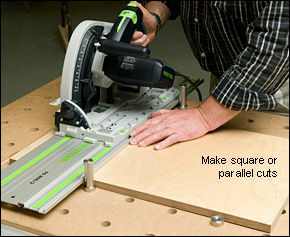 Festool MFT3 has essentially replaced my table saw sled for crosscuts. So first off, I’m not a Festool guy. While I can see the value of having a “system” I think their pricing is not always aligned with the actual value delivered. For me, the MFT3 multifunction table is one of those love hate things. I have a friend who has one and all he does is tell me how great it is, how easy it is to use, how it helped him grow new hair for his bald spot, yada yada yada. So I had picked up a Makita track saw to break down sheet goods when I’m by myself and when looking on craigslist for extra tracks (which show up on a semi regular basis oddly enough) I ran across a guy selling the MFT3 setup. I got a pretty good deal, but still paid more than I would have liked. But i figured that worst comes to worse I could turn it around to someone else for more or less what I paid. I’ve had the MFT3 about 8 months now and have had a chance to use it quite a bit. I basically work out of my garage, so the table gets a +1 right off the bat for folding up for storage. Initially I sort of half assed it, pulling it out more to use as a table than as a cross cut station and still used my table saw sled most of the time. But the more I used it, the more I got to like it. Now if I’m going to crosscut more than just one or two pieces or need to crosscut something longer than about 16 inches (the longest piece I can easily set a stop block on my sled) I immediately pull out the MFT3 and the Makita track saw. After a little practice, I can set the table up by myself, check square on the rail to miter, install the cord and hose hanger for the track saw and be ready to cut in under 5 minutes. I’ve got a couple of stops installed on the miter bar and based on a tip from someone else, I made a deeper plunge cut towards the front of the table into the MDF top approx where the front of the miter bar is. When I want to set a stop, I drop the end of my tape measure into the slot and simply set the stop to the right place right on top of the tape. Now the MFT3 is my go to item for crosscutting coupled with the Makita track saw. I find getting good results to be simple and easily repeatable. There are a few downsides, but they’re not huge to me. First of all, this is intended to be a portable unit and when folded up it doesn’t take up much space. But it weighs +-60 lbs so it’s a pain to carry around. Lately I’ve been kicking around making a small roller stand for it out of a couple of HF furniture dollies to make it a bit easier to move around. The big downside is the price. While I feel like i’ve made up the purchase price in efficiency and just plain ease of use, I would still be reluctant to buy one at full retail as I just think it’s too expensive for what it is. Final thoughts are this is definitely not something every woodworker would need to buy. But if you are short on space and do a fair amount of cabinet work by yourself, then I think you would find it as useful as I have. You need a track saw to make it work for you, but if you’re doing cabinet work I would already recommend that for breaking down the sheet goods. So kind of long winded, but my final thoughts are the MFT3 is a definite buy if you can get a used one for 75-80% of the new cost with a few clamps, etc with it. I am familiar with the need to break down full sheets of plywood before trying to wrestle them onto the table-saw. The price of the MFT is pretty steep – I have looked at them and walked away thinking that it is more than I “should” spend on something like that. Other than the ability to cut repetitively on it, I do like the hole system for clamping which just may be what gets me to buy one when the price is right. Great review. I have always felt that Festool was just too rich for my blood and this does nothing to change my mind, even though you didn’t say what you paid for it. Every time I consider that domino machine I think of 2 or 3 things I could buy with the same money. I got mine used and I paid $500 for the MFT3, 2 of the quick clamps and a set of the clamping elements, so maybe equivalent to $875 Festool retail. I run warm and cold on a lot of Festool stuff. For example, I’ve used a couple of their jig saws and I really liked them, but I rarely use a jig saw, so wouldn’t buy one myself. For the MFT3, if you’re a hobby guy, then the cost is a hill you’ll probably never climb. But now that my partner and I have started doing a lot more cabinet jobs, the table has helped me reduce my time per pair of cabinet sides by 1-2 minutes between handling and less cuts. So it will eventually pay for itself compared to my previous technique. I’m very curious why you find yourself using this for crosscuts rather than your table saw sled? I was thrilled with the cut quality and dust collection when I got my festool TS55. But I haven’t sprung for an MFT yet, and still use the track saw just for sheet goods. First off, for small stuff or for just one or two cuts, I still go with the sled. But if I have to make two or more of something especially as the size starts to get large, I like to use the MFT. First, the adjustable angle guide on the MFT can be slid out giving me a way to set the production stops at fairly long distances 48 inches or more. Handling a sled that big would be a pain, so I have to get creative on how to get repeated cuts to the same distance on the smaller sled. With the MFT, I drop the tape measure in the kerf slot and slide the production stop to the right length and I’m ready to cut. Then there is the handling. If I need to make 5 pieces 18 inches long, I put a 8 ft board on the MFT and just keep sliding it over after every cut until I’m done. With my sled, I’ll need to break the 8 ft board down into manageable lengths first, then make the cuts on the sled. It’s not sturdy, and wobbles under any type of side-to-side processing – hand-planing and routing, as two examples. For the MFT/3 to become functional, you need to add expensive clamps, and an expensive track circular saw. The miter gauge is sufficiently precise at 90 degrees; though, I find reaching to the back of the table, and precisely adjusting and securing the gauge to non-90 degrees cumbersome – you have the miter gauge itself, with it’s spring-loaded pin; then releasing and re-pressurizing the side clamp while still maintaining the precise angle you want. 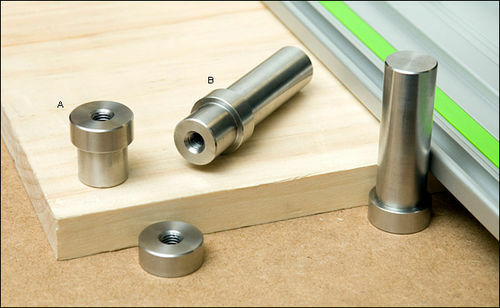 The swing-down guide is difficult to adjust, height-wise, such that the ‘back of the table’ clamping mechanism is sufficiently loose to allow the guide to raise and lower; yet tight enough to secure the guide when the height is correct. Getting the guide at the correct height just takes too much time to get right. Then you have the fact that the thinnest/shortest board you can cut is the wide of the guide plus some amount that needs to reference against the miter fence. Each of these is a small nuisance; however, summed they represent more aggravation than I need in my shop… for a $685 base price +$dogs +$clamps +$Track Saw and the associated footprint. Given that I love my Domino and Track Saw, and have other expensive hand tools, it’s not about the money, per se: I’m willing to spend the money for upgraded quality and functionality. In my opinion, the MFT/3 didn’t meet the threshold. I agree with some of those points, but find some of those other things not too bad. It’s definitely not a work bench. Hand planing, or aggressive sawing with a hand saw is not a going to be enjoyable on the MFT. But with the track saw for cross cuts its plenty sturdy. For most of what I do, I don’t actually use the clamps, but you do need the track saw, but not necessarily the Festool one. The Makita track saw clamps will work just as well as the Festool ones and they’re half the price. I don’t normally move the miter from 90, but I could see how it could be touchy to set to other angles. I don’t find the guides to be a problem with the following notes. When I got mine the track was constantly moving around, so I went through the hints on the MFT and carefully adjusted the allen screws that set the tension on the adjusters. Now it’s a little stiffer to adjust the height, but does not come loose anymore once set. For the height, I use a simple technique. Set two scrap pieces of the material to be cut close to either clamp with a couple of playing cards under each. Allow the track to rest on the pieces and then lock it down for height. Take them out and now with the saw slid all the way to the start position, you should be able to slide the new material under the track with little effort. When you run the saw forward, the weight of the saw will ever so slightly flex the track down making contact with the strip for most of the cut. Agree that there is just no good way to cut a short piece the standard way the MFT is set up. for those I go back to the sled, though I suppose you could swap the track and miter and cut with the waste up under the track if you were desperate. But on the major point of the price, I agree with MJCD that the full retail price with the accessories is not balanced for what I think the value is. Great review. I have always felt that Festool was just too rich for my blood and this does nothing to change my mind, even though you didn t say what you paid for it. Every time I consider that domino machine I think of 2 or 3 things I could buy with the same money. For me, the Domino is a go-to tool… in addition to its use with the domino biscuit, it excels at being a precise, portable mortising machine. That said, justifying the price is a purely personal evaluation. I have long held that Festool products fall into two categories: Breakthrough and Mainstream. Breakthrough products, like the Domino and Track Saw, may be worth the money if you use them frequently; Mainstream products, like sanders, have strong benefits (Dust Collection, Ergonomics, Life Cycle) overwhelmed by high prices. Again, for what I do Festool’s Breakthrough products are worth the investment; their Mainstream product are not: Bosch, Fein, and Makita, some DeWalt products, et al. are better value for the money – In My Opinion. I have a new, unused MFT with accessories that has been sitting unused in the shop. I think it is too big to be portable and not stable enough for detail work. I would be willing to part with it for $550. I am 30 minutes north of Greensboro, NC. My Domino and track saw, are another story. I think they are awesome! 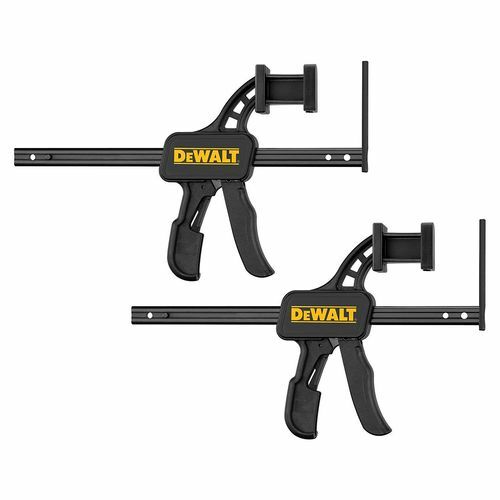 There is no doubt they are expensive but the accuracy they provide is pretty amazing for hand tools. 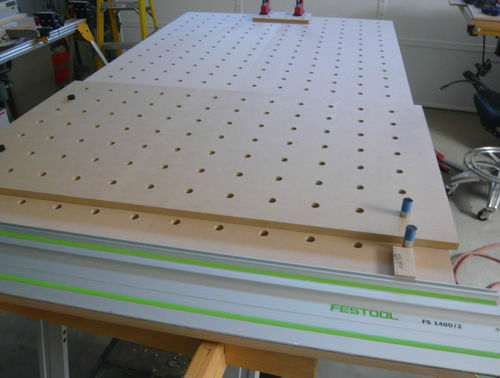 The Festool track saw was very innovative when it first came out 10+ years ago, and even though I own one – I wouldn’t recommend it to anyone, nowadays – there are a lot better choices out there. 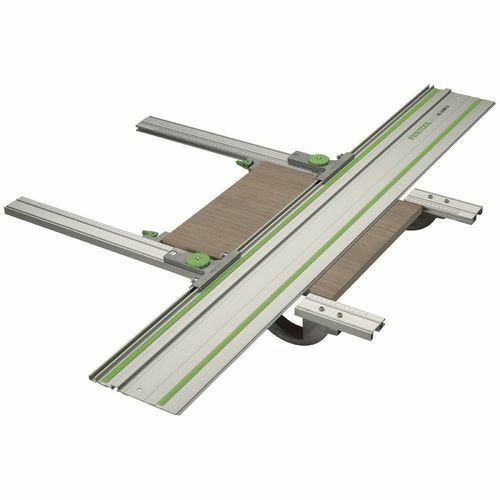 I’m not arguing that the Festool is the best tool, but which of the other track saw do you consider to be a better choice than the Festool and why? I personally have the Makita primarily on a cost decision, but I don’t know that I would rate it superior to the TS55 except as judged by cost. I might not rate it worse based on using both on sheet goods, but I wouldn’t put it as significantly superior. On another note, I don’t find the MFT that wobbly when I use it for cutting sheet goods or other typical uses, but its definitely not a ‘workbench’ as I would judge one for handwork. I won’t argue the overpriced bit though as I fully agree on that. Though I also think that if you had started with a MFT top and built a bench for it, added tracks around the edge for clamping, a half decent miter gauge and a short track your personal cost to build the replacement wouldn’t necessarily be all that much less than just buying one. But if you’re requirement is that the MFT is stable as a purpose built workbench for planning, etc, then it’s going to fall short of that. Lets see – Festool track saw – under powered and over priced. But when I bought mine, they were basically the only game in town. Lastly – Makita. At this point, If I had to do it over again, I think I would buy the Makita track saw.